are you ready to win more games? Not yet a member? Click here to sign up now! 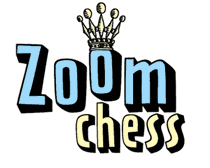 At ZoomChess, kids can learn chess online FREE! Our comprehensive beginner's curriculum is the best of chess online. Here are the 20 skills taught in our free Learn the Rules of Chess! Play the computer at your own level...from "easy" to "mean"
Simply log in (or sign up) for access. Get access to 169 skills, progress tracking and more with our Premium Learning Environment, ZoomChess full version (subscription required after 15-day Free Trial).